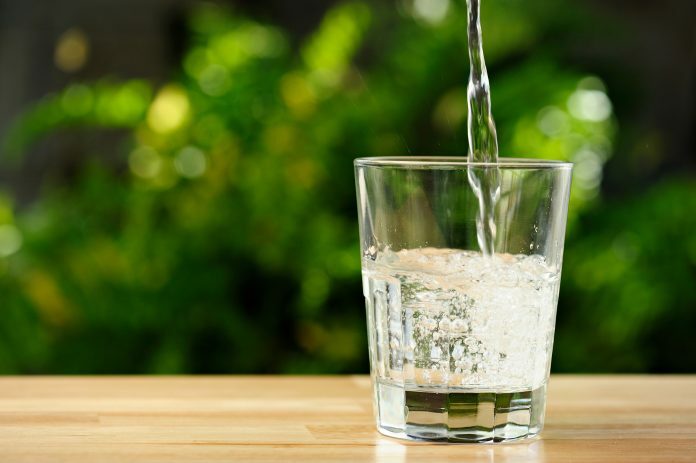 Soma manufactures environmentally friendly water filtration products such as pitchers, glass carafes, and other solutions for carrying water or brewed beverages. This certified B-corporation strives to promote customer wellness, sustainable production and consumption, and humanitarian resource aid efforts worldwide. 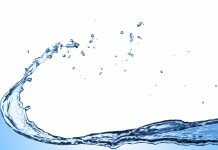 Find out why a Soma water filter could be better than competing filtration systems. What Is a Soma Water Filter? Soma was founded in 2012 and obtained initial funding through a Kickstarter campaign. The founders set out to create elegant and easy-to-use water filtration devices. In developing functional and reliable water-filtration carafes and pitchers, the company attempted to limit its carbon footprint and environmental effects by sourcing filter and handle materials from conservation-based forests; using post-consumer waste and recyclable materials wherever possible; and monitoring its supply chain to maintain the highest standards for animal welfare, anti-discrimination policies, fair labor practices, and overall transparency. Soma also donates a portion of proceeds to charity: water, a non-profit partner that promotes safe drinking water projects around the world with the stated goal of solving the global water crisis. To date, this organization has funded 28,389 water projects serving 8.2 million people around the globe. Soma donates up to $ of the purchase price of limited-edition items, such as the 10-cup black pitcher, to this cause. 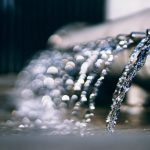 Soma water filtration products stand out from the competition because they use materials such as sustainably sourced bamboo or wood and coconut carbon filter media. Soma's replaceable filters are made out of plant-based PLA plastic derived from sugarcane and vegan silk. 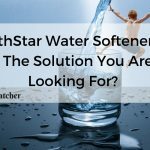 All of this brand's carafes and pitchers feature the updated Soma 2.0 filter, which is certified to lower levels of chlorine odor and taste and removes heavy metals such as copper, mercury, and zinc. 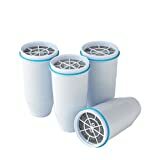 These filters are certified for NSF Standards 42 and 53 and last for 40 gallons before needing to be replaced. Most municipalities add chlorine to water as an antimicrobial treatment. This oxidant can introduce an undesirable odor and taste to drinking water that these water filters substantially reduce. This carbon filter also reduces levels of copper, mercury, and zinc that originate from the corrosion of household plumbing or discharge from refineries, waste runoff, or natural deposits. Customers can choose a 48- or 80-ounce pitcher or a 48-ounce glass carafe. Each option is designed to filter water quickly, prevent spills during dispensation, and look elegant enough to contribute to the overall décor of a kitchen or dining room. You can also store Soma water dispensers in the refrigerator for chilled water. The six-cup Soma pitcher holds 48 ounces of water. This shatterproof pitcher is made out of BPA-free plastic and has a wooden handle sourced from sustainable bamboo. The lid door will automatically open when this model is held underneath a running faucet. This compact model measures 9.4 inches high, 4.5 inches wide, and 9 inches deep. The space-saving design will take up less room on your counter, table, or refrigerator shelf. 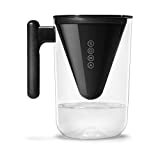 When you purchase this pitcher from a retailer, you may have the option of buying a model that comes with one Soma water filter or purchasing two packs of filters at full price. When you buy online, Soma lets you order a pitcher with a discounted prepay plan for six or 12 filters. 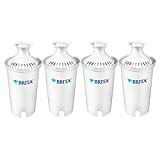 Six filters provide a year's supply of filtered water while a dozen filters guarantee two full years of clean water. Hand-wash the plastic portion of this pitcher as needed. You can do so between filter changes by removing and setting aside the current filter. It is also a good idea to thoroughly cleanse the pitcher during the filter-change process. Apply mineral oil to the bamboo handle to maintain the appearance and texture of this unique design feature. Soma's 10-cup pitcher is designed to hold 80 ounces of water. The standard 10-cup model is made of the same materials as the six-cup model, including shatterproof, BPA-free plastic and bamboo. This model measures 10.5 inches high by 6 inches wide by 9 inches deep. Customers may also order one of a limited run of Soma black pitchers in a 10-cup size. This stylish design features a filter and lid that are made of black BPA-free plastic and a black handle sourced from sustainable wood rather than the standard bamboo. For every black pitcher sold, Soma will donate $15 to charity: water that will go toward funding safe wells in Bangladesh. This model is also available with either six or 12 prepaid filters. Hand-wash either pitcher when you change the filter or between changes as needed. Mineral oil will nourish either the bamboo or the sustainable-wood handle. While Soma's pitchers resemble upgraded versions of standard water-filtration pitchers made by other brands, Soma's unique glass carafe looks stylishly simple in the kitchen, on the dinner table, or even in the office. 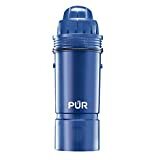 This filtration container is made of shatter-resistant borosilicate glass with a BPA-free plastic filter reservoir. The glass carafe holds six cups or 48 ounces of water. The lid on this model will also automatically open for filling when held under a running faucet. This model measures 10.6 inches high, 5.8 inches wide, and 5.8 inches deep. The glass, reservoir, and lid are all safe to clean on the top rack of a dishwasher after the silicone ring and filter have been removed. Like the pitcher models, this design is also available with either six or 12 prepaid filters. Soma also sells a shatter-resistant borosilicate glass water bottle. Each bottle comes with an easy-grip protective silicone sleeve in one of eight eye-catching colors: white, gray, mint, eggplant, olive, blush, emerald, and sapphire. This bottle does not include a Soma water filter, but it can be a convenient way to carry filtered water on the go. The glass water bottle holds 17 ounces of water, which is more than two cups. This bottle also features a leak-proof cap made from renewable bamboo and a smooth mouth design. The company donates a portion of the proceeds from each bottle sold to charity: water. This water bottle measures 9.1 inches high by 2.6 inches wide by 2.6 inches deep. Like the glass carafe, this borosilicate container can be either hand-washed or cleaned on the top rack of the dishwasher with the sleeve on. The cap should be hand-washed only, and the bottle should be stored uncapped. The Soma 2.0 filter is made out of 65 percent plant-based renewable material, including a carbon filter media sourced from Malaysian coconut shells and a filter casing made of food-based PLA plastic derived from sugarcane that is free of BPA and phthalates. The design allows for ion exchange, and each filter is rated for 40 gallons or two months of average use. Soak a new filter by laying it flat in cold water for 15 minutes before rinsing under running cold water for 10 seconds. Align the filter with the opening on a Soma carafe or pitcher and push firmly into place before putting the lid back on. The dispensers will automatically open to refill the container when held under a running faucet. Slow filtration may occur due to air becoming stuck in the filter. If you experience this issue, then re-soak the filter on its side in water for 15 minutes and give it several gentle squeezes while soaking to release trapped air. Replace the filter in the dispenser and fill the dispenser with the lid removed to see if filtration speed increases. Soma recommends filling pitchers up to the bottom letter of the brand name printed vertically on the side of the reservoir. These dispensers may be able to hold more water, but following this recommendation keeps a container from becoming overly heavy or difficult to pour. If you choose a glass carafe, then fill up the cone-shaped reservoir to the brim twice so that water fills the container up to the bottom tip of the reservoir. Join the Soma Filters by Mail Club to receive a fresh filter directly from the manufacturer every two months. If you choose to pay as you go, then you will have to pay the full filter price. Save up to 20 percent when you prepay for six filters, which is a year-long supply. The Soma six-cup pitcher retails for $ with one filter, $$ with six prepaid filters, or $$ with 12 prepaid filters. The 10-cup pitcher in either black or the standard white and bamboo is priced at $. If you order the limited edition black pitcher, then $ of the purchase price goes directly to charity: water. The glass carafe is priced at $$ with one filter, $$ with six prepaid filters, or $$ with 12 prepaid filters. For all of these products, you save $ if you purchase year's supply of prepaid filters or $$ if you purchase a two-year supply. Soma's Filters by Mail prices each filter at $ with free shipping every two months if you choose to pay as you go. Without prepaying, a year's supply of replacement filters will cost $$. Save 20 percent or $ by prepaying for six filters at a price of $$. Regardless of which option you choose, shipping is always free. This program can be cancelled at any time. If you opt to prepay for filters when purchasing a new dispenser, then you have the option to prepay for either six or 12 filters at a discounted price. 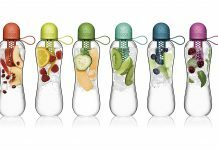 Carry filtered water on the go in the $ glass water bottle with a bamboo cap and a choice of eight colors for the protective silicone sleeves. Soma also sells a limited edition 12-ounce brew bottle for $$ that holds hot- or cold-brewed coffee or loose-leaf tea. Purchase Soma pitchers, carafes, and filters directly from the manufacturer, on online marketplaces, or in Target or Bed Bath and Beyond stores. The brand's products are included in Target's Made to Matter collection of natural, organic, and sustainable brands. Order a replacement Soma water filter through the company's Filter by Mail program or purchase a two-pack from a retailer or online marketplace. Soma makes attractive and eco-friendly water-filtration products that are more stylish than similar products made by competing brands. If you want an eye-catching water dispenser for your countertop, dinner table, or refrigerator shelf, then you can't go wrong with a Soma design. The water dispensed is suitable for drinking, brewing beverages, cooking, giving to pets, or even making filtered ice. This brand's products use safe and sustainable materials such as coconut carbon fibers, PLA plastic sourced from sugarcane, vegan silk, sustainable bamboo and wood, borosilicate glass, and BPA-free plastic. The Soma water-filtration system further reduces waste, as the filters are the only components that need to be regularly replaced. End your reliance on bottled water by purchasing a filtration system and the brand's reusable water bottles. 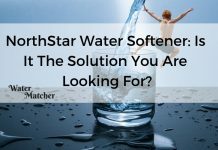 If you are seeking a sustainable water-filtration system with NSF Standard 42 and 53 certifications that can reduce levels of copper, chlorine taste and odor, mercury, and zinc, then you should consider a Soma water filter. This brand also donates some proceeds of purchases to water charities working to increase supplies of fresh water around the world. Soma was founded in 2012 and obtained initial funding through a Kickstarter campaign. To date, this organization has funded 28,389 water projects serving 8.2 million people around the globe. Previous articleKeurig Water Filter: The Top-Selling Single-Serve Coffee Makers!